Philanthropy's response to this epidemic has so far been lackluster. Even as addiction and death have spread, few national foundations have responded with new grantmaking. Local funders have also been slow to pivot to one of the worst public health crises in recent memory—with the death toll now approaching that of the HIV/AIDS epidemic at its peak. The overdose deaths only tell part of this tragic story; some 2.5 million people are struggling with addiction to opioids and all the damage this kind of substance abuse inflicts on their lives and those around them. Related: It's Now the Worst Drug Crisis in U.S. History. So Where Are All the Funders? Why aren't more funders focused on the opioid epidemic? Maybe because foundations tend to be slow to take on new challenges, however grave, since that means shifting money away from existing programs addressing other important problems. Or maybe because so many foundations are located in major urban centers where this epidemic, most acute in rural America, is less visible. That second theory would make sense, since we've noticed that those funders that are paying attention tend to be in regions where the epidemic is raging. The Independence Blue Cross Foundation (IBC) is a case in point. This health legacy foundation is focused on Southeastern Pennsylvania, an area that's struggled in recent decades with the decline of major industries. Now, opioids are taking their toll, too. The rate of opioid deaths in this region rose by 36 percent in the past year, compared to a 22 percent increase nationwide. The IBC Foundation has responded, and we touched on its new opioid-focused initiative earlier this year. The initiative is called Supporting Treatment and Overdose Prevention (STOP) and its goals are to expand programs and community resources, address barriers to treatment and prevention, and disseminate strategies and education around this issue. Since then, the IBC Foundation has launched several programs to increase awareness and access to effective community-based opioid treatment and prevention, and these programs have the potential for wide-reaching impact throughout the country. It also recently released a special issue of the publication, Journal of Change, which provides context on the foundation’s approach to funding programs in this area. The issue is important reading for funders and nonprofits alike as 2017 comes to a close and experts predict the year will set another record for opioid overdoses. The publication noted that the IBC Foundation aims to create a national best practice guide for "warm handoff" protocols to help overdose survivors kick their addiction, and also supports public awareness campaigns for "drug take-back" efforts to safely dispose of prescription drugs. Other funding efforts include empowering nurses to lead the fight against opioids, breaking the stigma and media perceptions of opioid abuse, evaluating innovative treatment and prevention programs, and opportunities for collaboration. To dive in a bit deeper and get up to speed on the philanthropic opportunities for addressing the opioid epidemic, we also spoke with Lorina Marshall-Blake, president of the Independence Blue Cross Foundation. “Warm handoff” programs are a key cause for this funder, as they have proven to be an effective way to reduce opioid addiction and deaths. 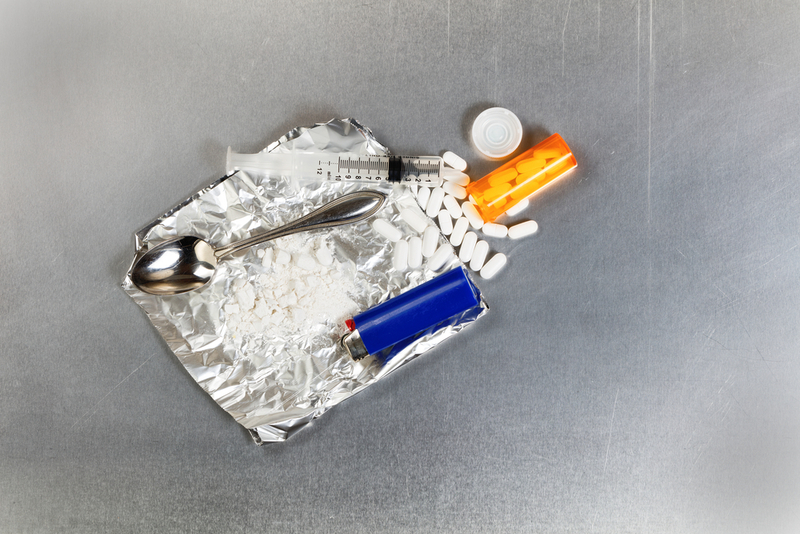 Such programs entail offering treatment for addiction immediately following a medical emergency, typically an overdose. All counties in Pennsylvania are required to have these types of programs, but inconsistencies have arisen in how they are evaluated for effectiveness from county to county. To this end, the IBF foundation began funding the B-CARES program in Bucks County to establish best practices that can be applied across the state in a more cohesive way. These programs require significant collaboration between healthcare providers, treatment facilities and the patient. The foundation, through its STOP initiative, is funding research to advance hospital-based warm-handoff programs to identify best practice recommendations and establish a blueprint for warm-handoff protocols that are replicable and scalable across the state and nation. The foundation has awarded its first grants through the STOP initiative to support education and prevention, as well as gaps in care coordination. As a regional foundation, we look to support nonprofits that reach individuals and communities in southeastern Pennsylvania. Collaboration is a big part of the IBC Foundation's approach to the opioid crisis, so we were also curious to learn about public-private partnerships underway in the region. So far, the foundation has mostly been involved in partnerships to increase safe medication disposal programs and reduce the stigma of addiction in the region. Seventy percent of individuals gain access to opioids from people they know, which includes taking prescription pills out of their medicine cabinets. Reducing access to opioids is a primary prevention method to reducing opiate abuse initiation. We are partnering with Walgreens to increase the availability and accessibility of pharmacies in the region that have drug take-back kiosks. In addition, the foundation launched a new partnership with Penn State University and the Pennsylvania Department of Drug and Alcohol Programs on a on a multimedia public awareness campaign to share stories of recovery and reduce the stigma associated with addiction in the region and across the Commonwealth. Looking ahead to 2018, the IBC Foundation will continue to support nonprofits, public awareness campaigns, and research to educate the public and promote prevention and treatment strategies. We also expect to see this funder get more involved as a collaborative partner with stakeholders in the community, academia and policy. The new partnership with the Justice Center for Research at Penn State University that Marshall-Blake mentioned will launch a campaign to tell real recovery stories and to put authentic faces and voices behind those stories. While the IBC Foundation’s efforts are locally focused on the Philadelphia area, there’s definitely hope here that this region can serve as a model, and that these ideas will be able to guide national best practices for public health professionals looking to make a difference in other places too. You can learn more about the IBC Foundation’s STOP program here.